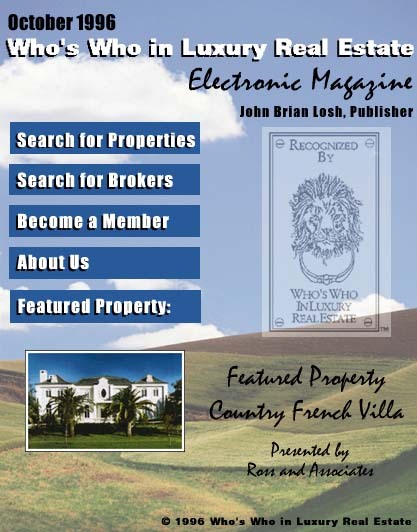 Who's Who in Luxury Real Estate is an international network comprised of the finest in brokers of luxury properties and homes. This system includes members from over 35 countries and nearly every state in the U.S. Featuring a wide range of properties for sale and lease, Who's Who now offers over one billion dollars in properties, all database searchable. We hope you enjoy our system! Links System is online! Search for Luxury web sites or Add a site to the list.